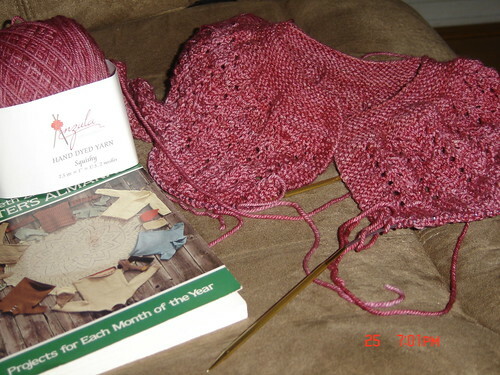 Yes, I’ve got the itch, yet again, the itch for starting new projects. Don’t all us knitters get that inner itch that makes us want to start knitting every luscious gorgeous squishy yarn we set our eyes on? Or seeing that FO that just makes us want to cast on immediately? I have that, it’s an itch, as serious one, and can only be calmed by that lovely feeling of casting on. I should say that I always have that itch. I’m always juggling many different projects all at different stages. One benefit for doing that is there are times you have multiple FO’s, but there’s always that new cast on. 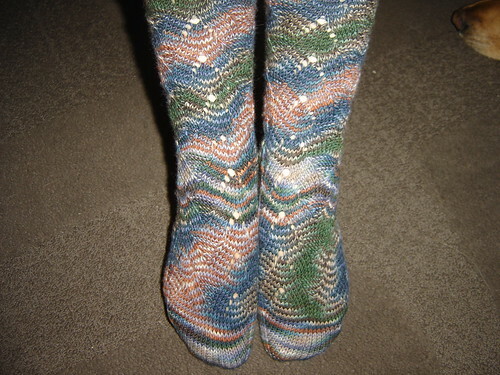 So now I started a new pair of socks, I have a pattern I’ve been designing and now am knitting it. I’m pretty excited about the design & concept for these socks, they are different than socks that I’ve seen, at least I’ve yet to see socks like this. I won’t say that the concept hasn’t been done prior, because I haven’t seen all the tons of sock patterns out there, but I’ve seen enough to know that it’s not a known concept. I casted on two different toes, the pattern will be toe up, and I’m leaning towards the right sock, it has a nicer toe shape, while the left sock is too boxy for me. 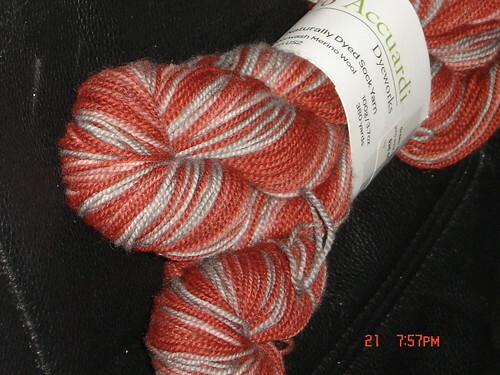 I’m using the Pico Accuardi sock yarn, natural dyes, the color is “Lantern”. Now that I’ve settled on the toe I want, the fun part comes, the pattern! I’ll share more pictures as I make more progress. 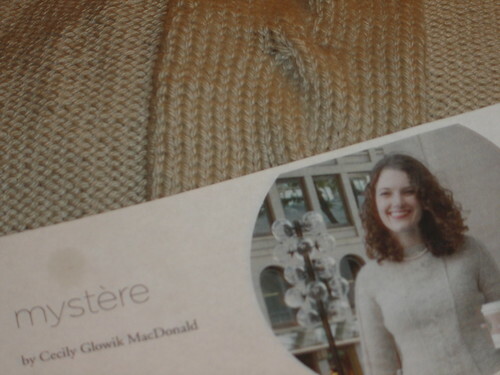 Of course I’m still knitting away on the February Baby Sweater, that’s a good knit for mindless knitting, its just repeat pattern continously. 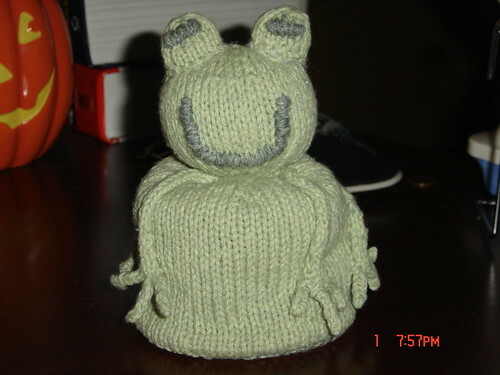 I have two new projects, both with fun new yarn. First is one of my new faves, Anzula. 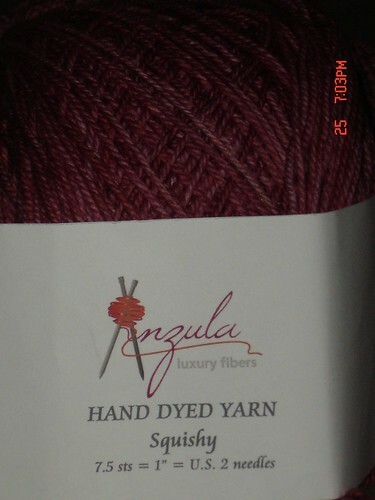 I found out about this yarn working at my LYS, there is such a great line of products. 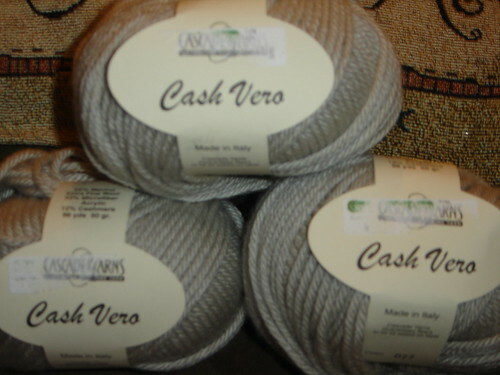 I already have some sea cell, silk, and linen yarn, yummy stuff, I'll have to take some pics to share, and now I bought some sock yarn, called "Squishy". 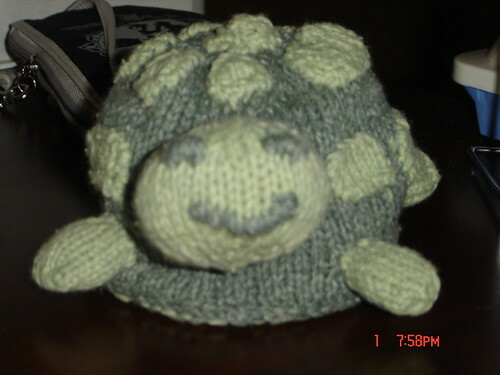 It is seriously squishy and soft, they were kidding name it squishy. such great colors too. 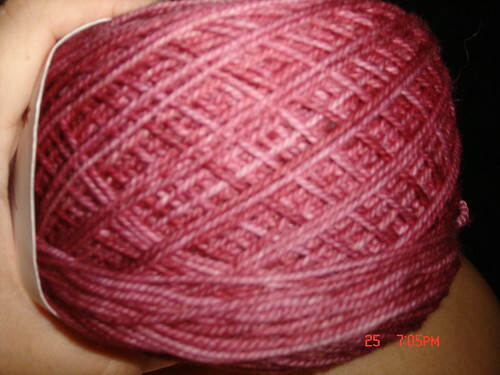 This yummy yarn is going to morph into a February Baby Sweater, a gift for one cute little girl. 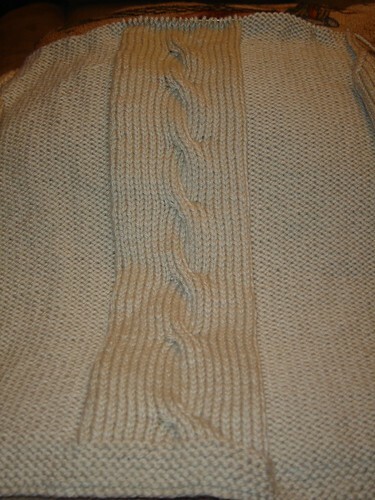 I'll have this one ready by end of week, a fast sweater to knit, and the pattern repeat is easy to remember. I wasn't too thrilled in the beginning because I had yet to make a Zimmerman pattern, which I learned it definitely different that your average designer. 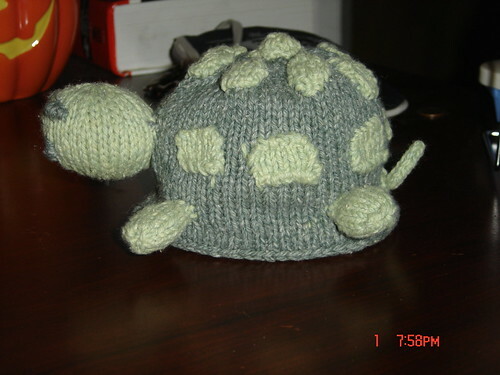 But I got past that, after a few weeks of over thinking it, and once I cast on, it was speeding along. I admit there are some mod's I did though. My second project will be some ankle socks knit with Pico Accuardi sock yarn, it is natural dyed and the colors have a nice muted look to them. 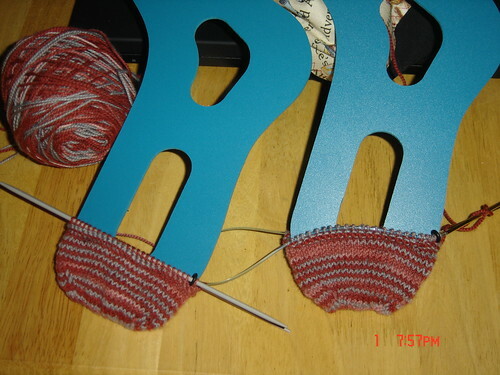 I'll improvise a pattern for these socks, not yet cast on, but once I finish the February Baby Sweater, I'll get started. 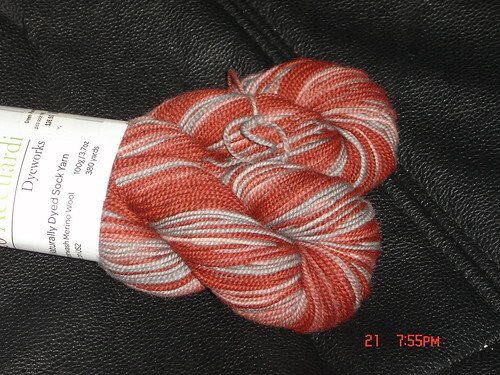 For now, here's a look at the yarn in Lantern colorway. 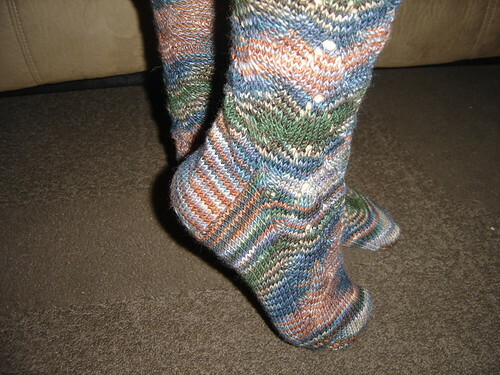 If the pattern I improvise goes well and quick, I just may go on a ankle sock knitting spree! See you in a few days. 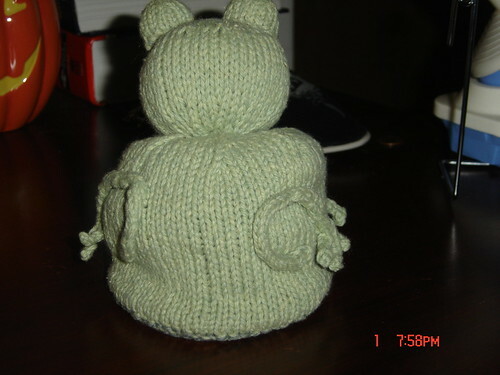 I started it last Monday, 11/30 and am already done with the back. I'm so excited with this project, I can't wait to show it off!